Time to try some new IPA’s! 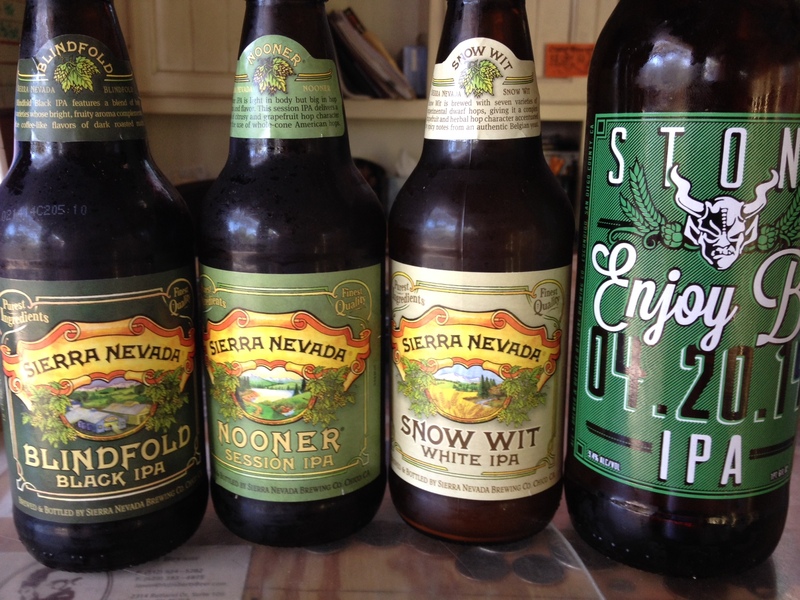 Sierra Nevada has three new ones out – Blindfold Black IPA, Nooner Session IPA and Snow WIP White IPA. Also new in store Stone Enjoy by 04.20.14 IPA, Deschutes Hop Henge IPA, Abita Strawberry, Founders Curmudgeon (old ale brewed with molasses and oak aged), Left Hand JuJu Ginger and back in stock for a limited time Santa Fe Java Stout.